This article we'll introduce the best free SD card recovery software to help you recover deleted or lost data from SD card for free. How to recover data from SD card for free? How to recover micro SD card if the card got corrupted? If your data files get lost from damaged or corrupted SD memory card. The first thing you need to do is get a bext free data recovery software to help you retrieve your data back. The following guide we will show you the best free SD card recovery program to help you recover SD card data fro free. Also, the solutions to fix damaged or corrupted SD memory card. The best free SD card data recovery software, we recommend Recoverit Free Data Recovery. It is a reliable SD memory card recovery software, it can help you recover data files from Micro SD card and memory card in easily. Recover deleted or lost data from Micro SD card fro Free. 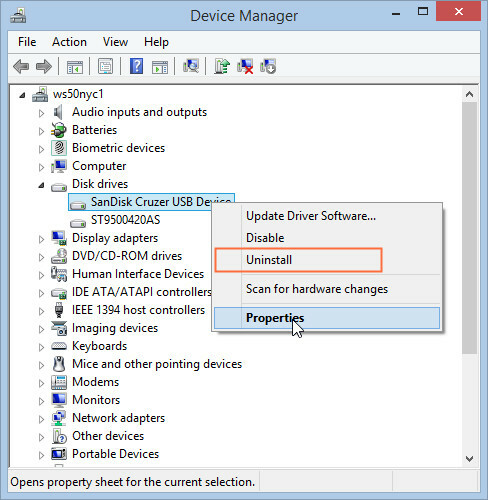 Recover SD card data due to accidental deletion, formatted, virus attacked. Recover any data files from SD card with high success rate. Supported OS: Windows 10/8/7/XP/Vista； Mac OS 10.13, macOS 10.12, OS X 10.11, 10.10, 10.9, 10.8, 10.7, 10.6. Download and install free SD Card Recovery software on your PC computer. Connect your Micro SD card to the computer and follow the next guide to perform SD card recovery. If you are using Mac, you can download Recoverit Mac Data Recovery and follow the guide how to recover data from SD card on Mac. Launch Recoverit Free Data Recovery, to recover SD card data, you need select "Extenal Devices Recovery" data recovery mode. Select your SD card which delected on your computer, select it and click "Start" button to process. Recoverit Data Recovery software will start a quick scan to search your data. After the first scan, if you cannot find your files, you can go to scan again with "All-Around Recovery" which will search more files from SD card. After the deep scan, you can check all recovered data files. Preview some recoverable photos, select your data and click "Recover" button to get your data files back. 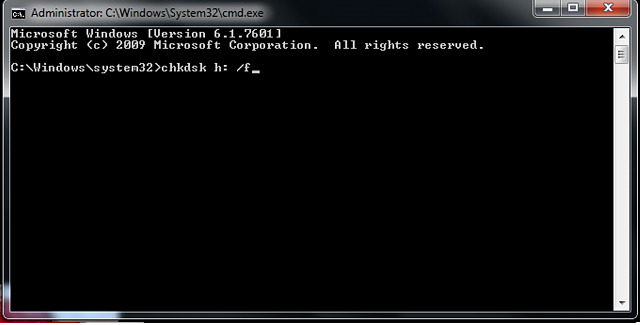 Note: to avoid overwriting on other files, save the recovered results on another hard disk. With Recoverit Free Data Recovery software, you can easily get your data files from SD card. Download the best free SD card recovery software and try it for now. 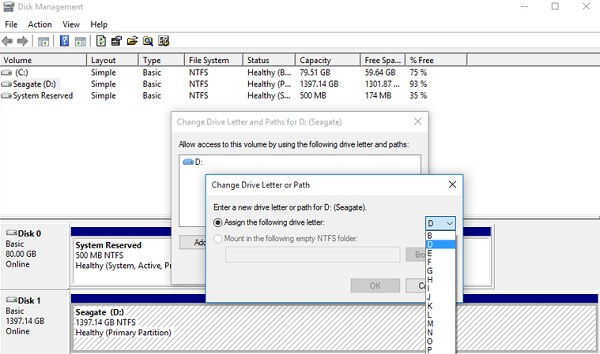 Step 2 Open My Computer on your PC and take not of the drive letter assigned to your SD card. Step 5 Lastly, just tap enter and the computer will initiate the process to fix your corrupted SD card. Step 6 Lastly, choose the right drive letter from the drop down list. Click on OK to see if the computer can recognize the SD card now. Step 6 Lastly, reconnect your SD card to your PC via a card reader. The PC will detect it and reinstall the driver. Accidental deletion: This happens when you deleted files accidentally from your SD card without having a backup on your computer. This can happen either by formatting the entire SD card or by deleting the files individually. Errors resulting from moving files: This might occur while trying to move files from your electronic device to your SD card. Partially overwritten files: When two or more files look alike and you decide to delete one or overwrite one for the other. You may lose some files this way too. Reformatting SD card: You may lose files while reformatting your SD card. Always backup your data before formatting or reformatting your SD card. Damaged files due to storage failure:　If you do not have enough space on your SD card before moving files into it, you may lose the file or the file may end up being corrupt. Whether you love them or hate them, memory cards are and will always be part of electronic devices especially cameras, phones, games among several others. No matter the brand, the commonly used memory cards (including SD cards, memory sticks, CF cards, Micro SD cards and the likes) are meant to use 5 years. However, if you are using it wrong, it may get damaged, corrupt, or failed in months or even days. You can use your SD card for five years or more if you use it rightly. Below are some tips to extend SD card life and prevent SD card damaged. The above tips, when followed rightly, will extend the life of your SD card. It will prevent your SD card from damage and you will never lose data from your SD card (whether due to damaged or corrupt SD card). However, if you have any issues on SD card that leads to lose data, you can still use our free data recovery software or corrupted sd card recovery tool to help you solve problems.